Your most important business asset is already within you realize it and capitalize on it Spirituality is the basis for all successful organizations and the most important asset you have in elevating you and your business to a new level of performance. The most successful individuals and firms in the world are changing the way they do business, in order to access a vast resevoir of untapped energy. You too can join the revolution, because the tools these people are utilizing are found inside each and every one of us. Tom Zender, President Emeritus of Unity a spiritual organization serving over three million individuals and veteran corporate executive, reveals simple ways that you can use to find yourself suddenly on the inside edge. God Goes to Work lays out how the world rediscovered the essence of the most effective transactions and how you can implement these methods into the way you do business. This groundbreaking text gives you practical steps on how, no matter what you believe, you can learn to use your spiritual assets in business to achieve better things with greater ease. You'll discover * How to make better, more profitable deals in business. 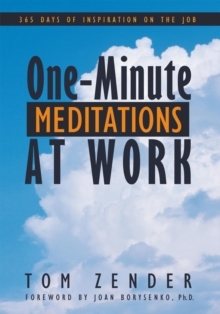 * The secret behind the world's most effective managers, executives and leaders, so that you can become one yourself. * Simple steps to prepare your organization no matter the size to take advantage of the wondrous prospects that await it in this new economy. The world is finally ready to discover that spirituality is the very basis of all our most profitable business transactions. 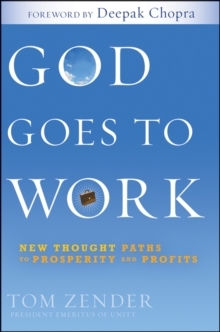 God Goes to Work gives you the practical roadmap to utilize this amazing, untapped resource for breakthrough business results.